Get in line for Advanced Style if you’re a fan of the 2012 Hot Docs fashionista film About Face. 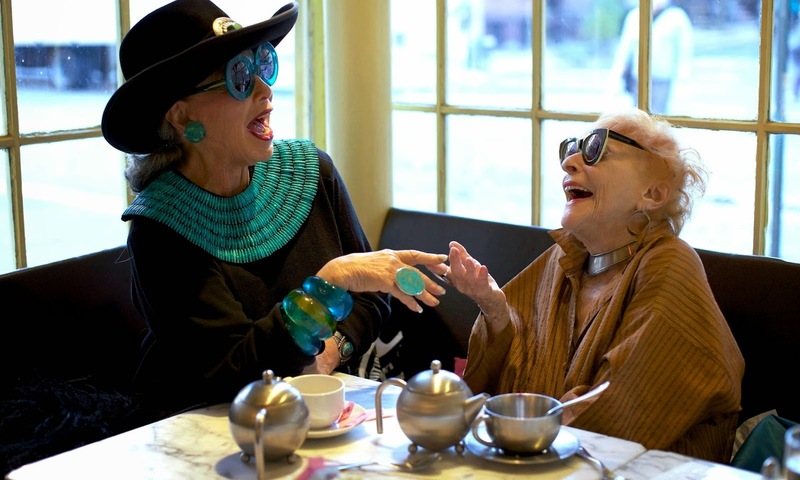 The fashionable old ladies of Advanced Style are a hoot and this vibrant doc is fabulous. The film takes a cue from New York fashion photographer Ari Seth Cohen’s popular blog Advanced Style on which Cohen profiles New York’s most stylish seniors. The philosophy of Advanced Style, both the film and the blog, says that a lady in her golden years never goes out of fashion. Vintage threads remind us that style is forever, so getting on in years doesn’t mean one has to sport mom jeans. The subjects of Advanced Style range from 62 to 95, but they strut their stuff with more gusto than a hot young thing. The film shows the difference between aging physically and aging mentally as the style icons walk the sidewalks of New York like fashion runways. Outrageous hats and vibrant colours provide the perfect accessories to the stories behind each of the style mavens as they tell how staying en vogue keeps them young. The social element of fashion, for one, keeps them youthful. The hilarious camaraderie between a boutique owner and her co-worker inspires shoppers of vintage threads with the sassy advice that sparkles in their working relationship. Another vintage hat-fan embraces the pleasure of being seen and admired for her clothes as she bikes around the city lifting peoples’ spirits with her style. A thrifty stylist teaches viewers how to look good with toilet paper rolls while an operatic beauty keeps her elegance as she gets on in years and passes her style on to her granddaughter. Most inspiring, though, might be the story of a nonagenarian who keeps busy as a singer and makes her eyelashes with her own hair. Each piece works on its own, but in staying true to good taste, Plioplyte and Cohen fashion the stories into a fetching ensemble. Please visit www.advancedstylesfilm.com for more information on the film. This is Maria Melnik. She got her first tattoo, a magic mushroom, in the 80s. You Won’t Regret That Tattoo is one of the better shorts at Hot Docs this year. The film offers the perfect opening act for Advanced Style, for it also tells a story of expressing oneself with style in the later years. A series of stylishly composed interviews see a host of seniors sport their tattoos and tell the stories behind their ink. Rather than conform to the old adage of “You’ll regret that when you’re older,” which people often say when they see tattoos, the tattoos of this doc offer permanent stamps things people want to remember as they age. The tattoos are reminders of character and sources of inspiration. Like the memorable wardrobes of Advanced Style, You Won’t Regret That Tattoo offers a fun chorus that teaches viewers to embrace their individual styles. “Is this based on a true story?” A person once asked this question when my brother and I were exiting a screening of the apocalyptic disaster pic 2012. (This is not a joke.) The Mayan doomsday prophecy has so far proved to be fiction—it’s no truer than blockbuster crap by Roland Emmerich—but it’s fun to revisit the superstition in retrospect. 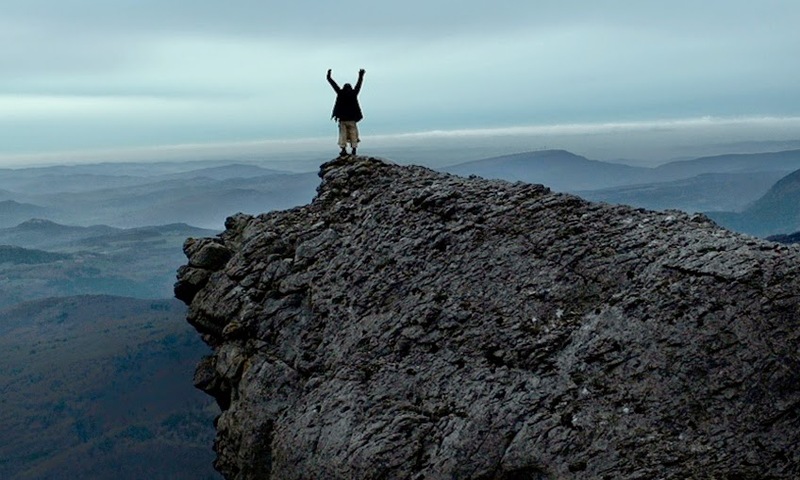 Amidst the chatter leading up to December 21, 2012, is the story of Bugarach. Bugarach, a small village in France, was said to be the site of humankind's salvation. Why this village of 200-odd French people were reported to be the chosen survivors of the Mayan prophecy is a mystery that Bugarach unfolds. Bugarach gives a bizarre peek into this small mountain town as the villagers muse upon their newfound celebrity. The film follows a handful of characters--and true characters they are--including a hippie with a fried brain, a young boy who wants to be a magician, and said boy’s parents who want to exploit the media presence to launch his career. There's also the mayor of Bugarach who both loves and hates the attention, a mad prophet who speaks to the aliens believed to be residing in the mountain, and a handful of elderly ladies who couldn't care less about the end of the world so long as the local charcuterie truck sets up shop until everything goes kaboom. Bugarach captivates with its mysterious sense of pending doom as it shrouds this ambiguous village with an air of mysticism to match the Mayan forecast. An eerie score adds a layer of impending doom while the exceptional cinematography by Cyprien Clement-Delmas and Ivan Castineiras adds a distinctly cinematic character to this enigmatic setting. The complexity of the engaging visuals transforms the town into a surreal character. The mystery of Bugarach is a marvel even though the outcome of the Prophecy is clear. The end of the world might not be inevitable, but the film shows a kind of death as human gullibility reaches its biggest peak since Y2K. A documentary about something one knows to be false can be far more interesting than a documentary about something one already knows to be true, and Bugarach unfolds like a nightmare one has already dreamed, but cannot escape. Could the Tribeca Film Festival’s Audience Award winner Keep on Keepin’ On pull a one-two punch with Hot Docs? This toe-tapping doc inspires roaring applause, so a high balloting from Hot Docs fans could easily name it the best of the fest. This jazzy symphony of a film by Alan Hicks (who makes an impressive debut with this doc) is an inspiring ditty about the life and legacy. Keep on Keepin’ On walks into the home of legendary jazz trumpeter Clark Terry, now 93, who still keeps a beat with the youngsters he inspires. The film gives an efficient overview of Terry’s invaluable contribution to music. Excerpts of his past performances show his spectacular rhythm and technical skills, but the emotional cadence he makes with the trumpet shows why he’s a master. The interviews with Terry’s contemporaries aren’t really necessary, for Keep on Keepin’ On affords a strong sense of Terry’s mastery simply by giving the audience a feel for his music, but the accounts with Quincy Jones and other prolific musicians whom Terry mentored gives invaluable insight into how Terry’s contribution goes far beyond playing music. The interviews also bridge Terry's story with that of his latest mentee, Justin Kauflin. 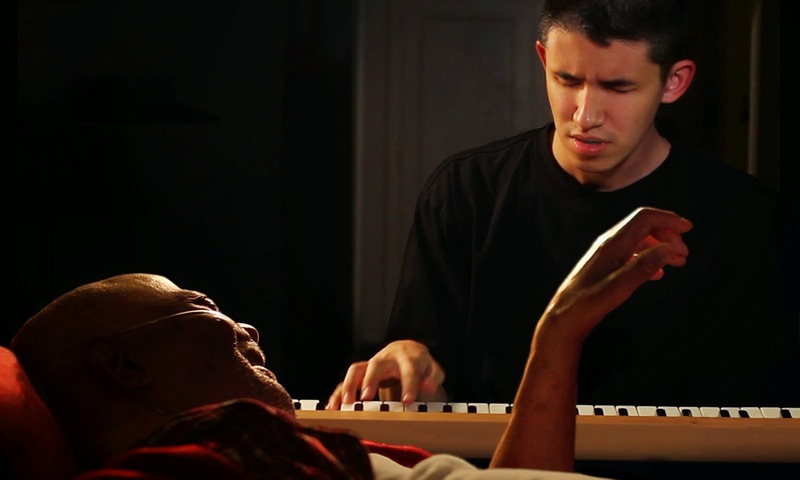 Kauflin, who also composed the terrific score for the film, is a young and blind pianist of exceptional talent. Keep on Keepin’ On watches Terryand Kauflin riff and discuss music into long hours of the night—sometimes until four in the morning—and their late night powwows convey an indefatigable love for music. It takes this kind of passion to play as well as they do. The amity between Terry and Justin gives an insightful portrait of the teacher-student relationship. Making it to the top of the music scene takes more than a feel for the keys and, as Kauflin’s study sessions and friendly conversations with Terryfollow him to the hospital as Terry undergoes some serious health battles, their jovial riffs give Keep on Keepin’ On the heart and soul that Justin seeks to invest in his music. Keep on Keepin’ On entrances with its jazzy rhythm and excellent soundtrack, but the film hits its highest note by showing one master pass the torch on to another to keep the spirit of jazz alive.